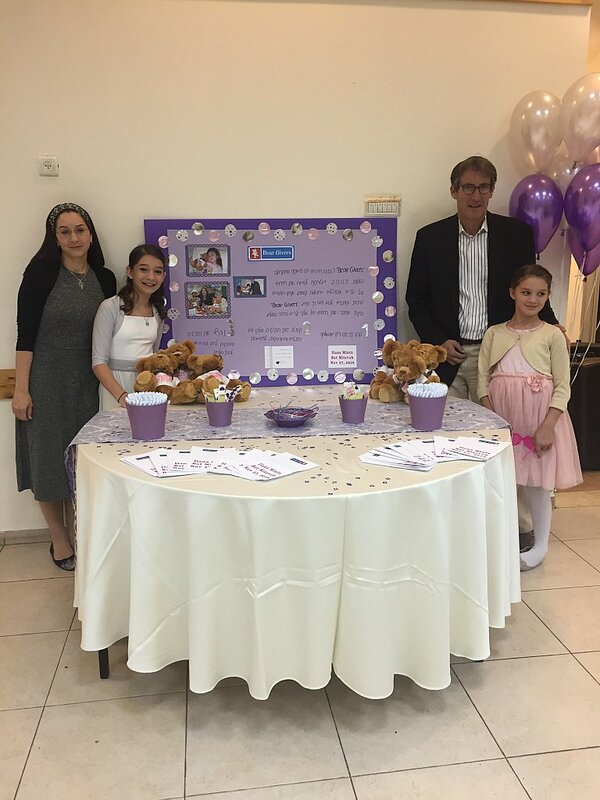 November 27, 2016 - Mazal Tov to Ilana Mintz who celebrated her Bat Mitzvah in Yad Binyamin, Israel. 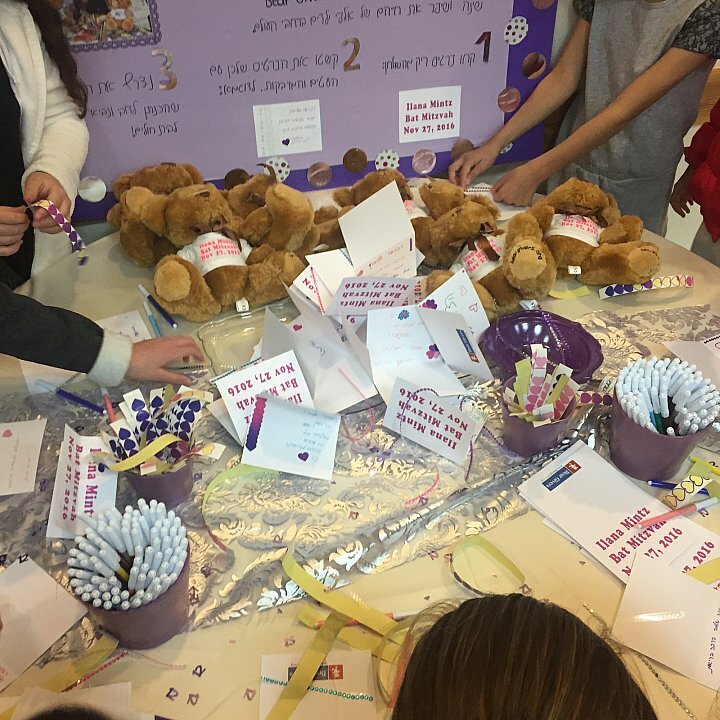 Typical of the kindness embodied by her parents Nathan and Michelle Mintz, Ilana and all of her friends decided to donate all the Bears to Chai Lifeline and Kaplan Medical Center. 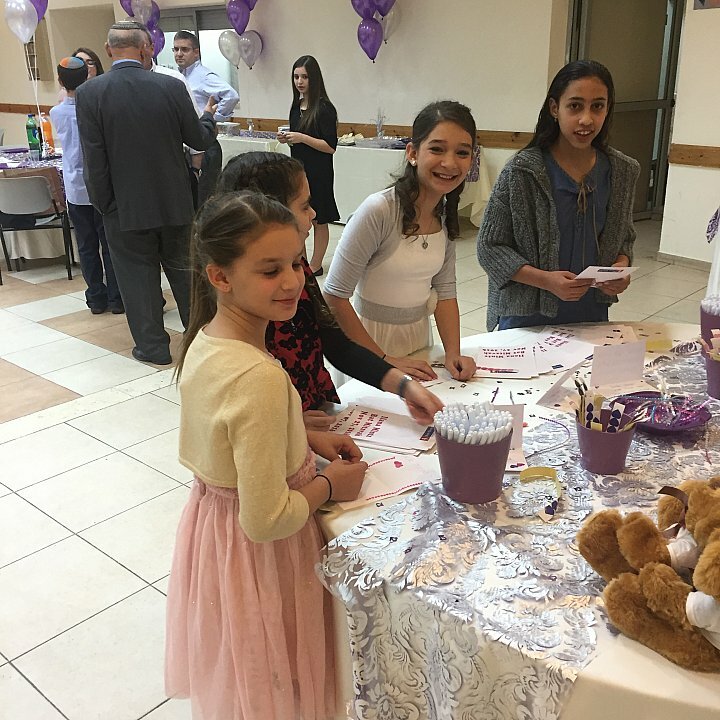 It was very touching to see the girls filling out the wishing well cards before partaking in any other of the festivities at this beautiful celebration. Ilana, you made everyone so proud of you and we are certain you will indeed make your mark in helping others!! !